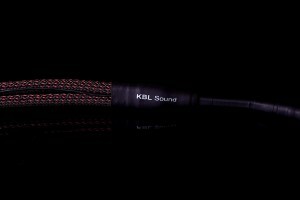 When looking for a phono interconnect to connect the tonearm with phonostage, it is easy to overlook that the renown Polish manufacturer, KBL Sound, not only offer this type of IC but it is definitely worth attention of demanding audiophile. Let me present the Red Eye Ultimate Phono. Not all the reviews are planned, some happen “by accident”. This test is a good example of such a case. Some time ago I received an excellent (as it turned out), quite expensive tonearm – the Acoustical Systems Aguilar (see HERE) for a review. The arm does not feature fixed interconnect – the internal wiring ends with a DIN socket (same as, for example, in SME arms) which offers its user an opportunity to select one that satisfies his/her needs most. The problem is that my Schroeder CB features a permanent IC, as was the case with all the arms that I’d owned before, so until this moment I never needed a phono IC. So short of buying one, that I didn’t really need apart for this particular review, all I could do was to ask the manufacturers and distributors I knew if they could lend me a hand. Since the tonearm was quite expensive I needed a high quality cable obviously. 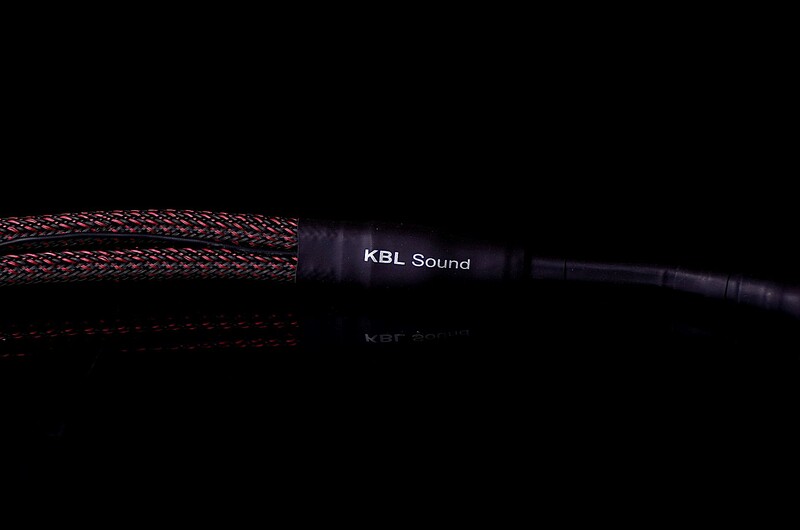 One of the first people I asked was Mr. Robert of KBL Sound, simply because all my previous experiences with his products were very good. 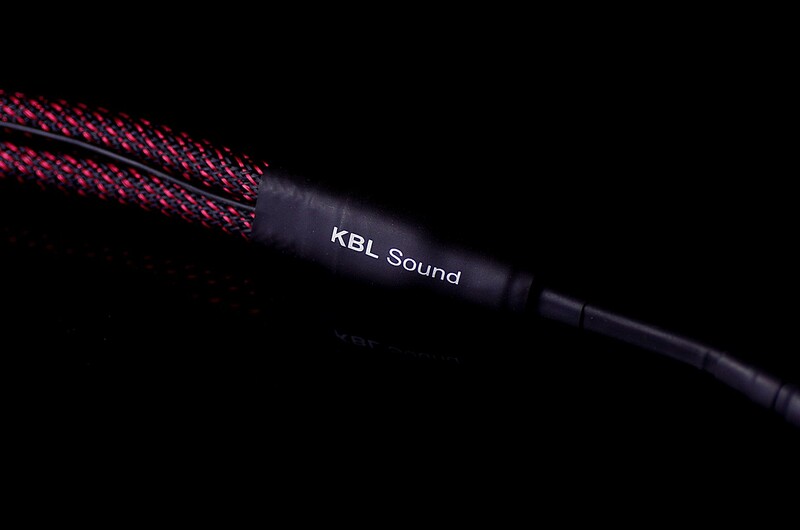 OK, to be perfectly honest, as always I also firstly thought about Polish products and only then about all the rest, so KBL Sound came to my mind at once. At given time, it was the Red Eye Ultimate Phono that was available and the next day Mr. Robert brought it to me. 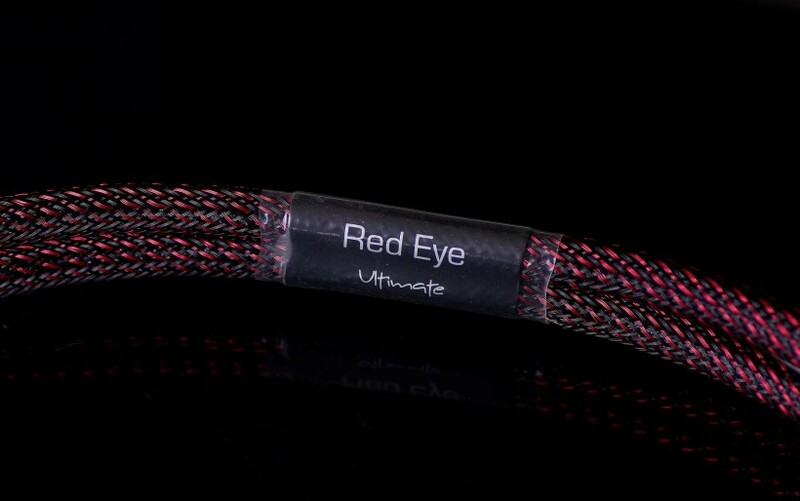 The Red Eye Ultimate is the second series (or third, if you include Himalaya Pro) from the top (at least when it comes to signal cables). 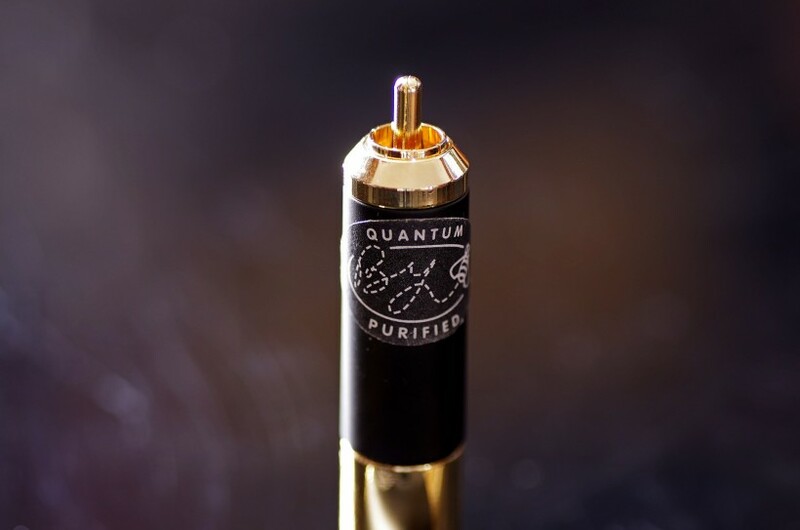 Along with the IC he also delivered a pair of Bybee Technologies Gold RCA adapters distributed by KBL Sound, or as the manufacturer calls them: “quantum signal purifiers”. This was my first encounter with this product and to be honest I have a skeptical attitude towards this type of “inventions”. I do not reject them a priori – I usually give them a chance in my system and only then I (skeptically) judge them. 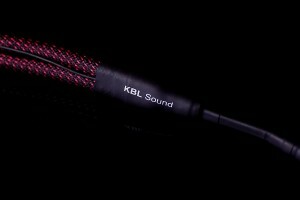 So I made a deal with KBL Sound – I said I would give them a try and if I hear any (positive) influence on the sound, I shall write a few words about them. Let me add that before this test, I’d already had the opportunity to review a set consisting of RCA interconnects, power and speaker cables from the Red Eye Ultimate series (on our site you will find an English version of this test HERE), so I knew what to expect both in terms of sonic character and performance. As I wrote in that test, probably sooner or later, such a set will end up in my reference system, which (at least I hope) one day will consist exclusively, or almost exclusively (because, for example, it seems there is no chance for Polish cartridge, especially high-end one) of components made in Poland. 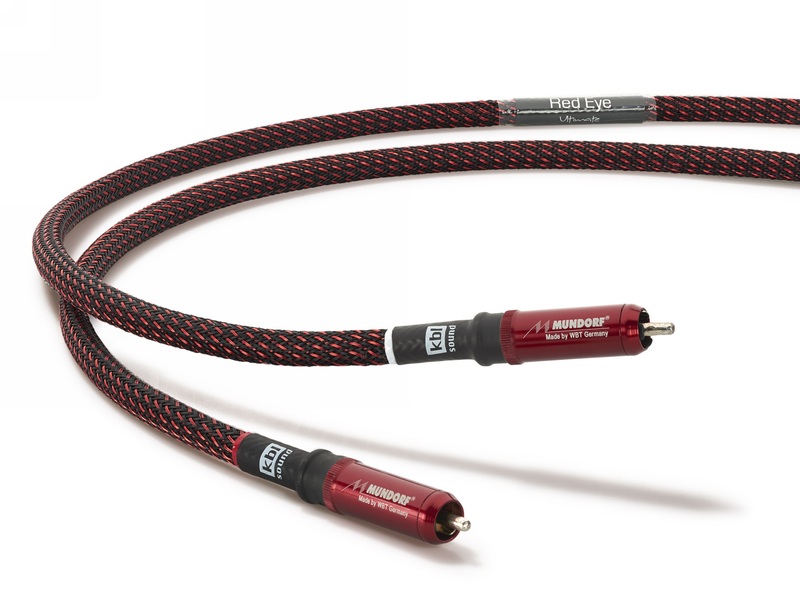 Based on the experience with Red Eye Ultimate loom, I assumed that the Phono IC would be a good partner for the tonearm that cost more than 30.000 PLN and a cartridge for another 15 kPLN or so. Luckily the test confirmed my assumption. The Red Eye Ultimate series uses silver and copper conductors. 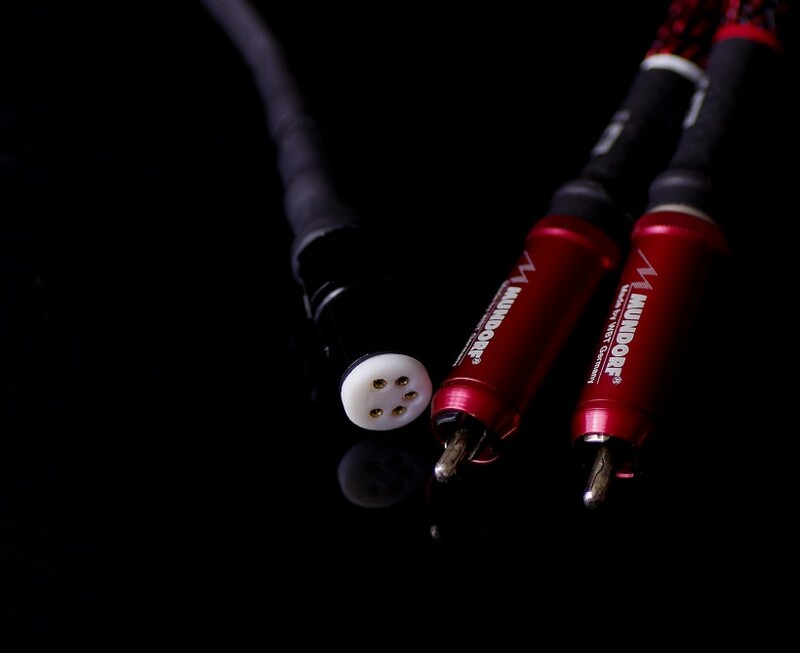 Interconnects, including the Phono, are based on mono-crystalline silver, while the speaker cables and the power ones are made of mono crystal copper. The high-class conductors are shielded in several ways, also vibration damping of both external and internal mechanical resonances is properly taken care of. Manufacturer decided to use foamed Teflon for dielectric – one of the best materials of this type available on the market today. 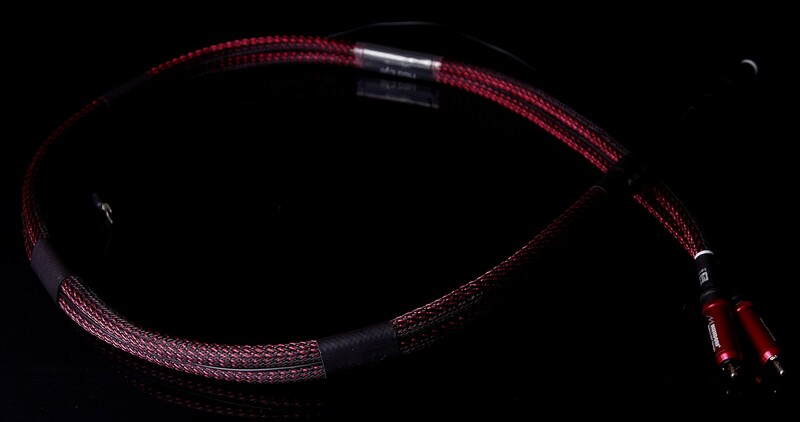 The cable features a red-black braided nylon sleeve with copper threads, with a clear predominance of the former color. The Phono is terminated with RCA Mundorf / WBT 0110 Ag plugs manufactured by the German giant (WBT) according to Mundorf’s specifications. These constitute the main difference compared to the previous version of the Red Eye. All contact surfaces are made of pure silver alloy with a 1% addition of gold. The contact surface has been minimized to eliminate eddy currents and other phenomena deteriorating sound quality associated with too large metal mass in connection points. The cable features a separate ground conductor terminated with a small spade. 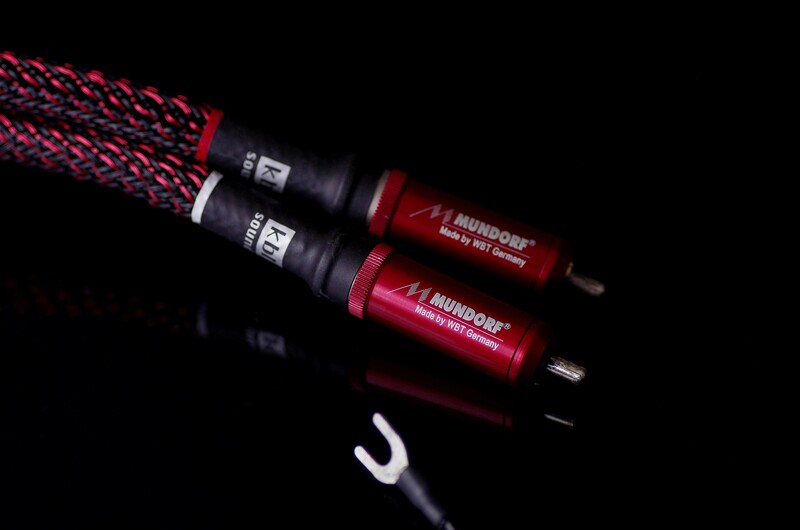 Standard phono cable lengths are 1 and 1.5 m, other lengths are available upon order. 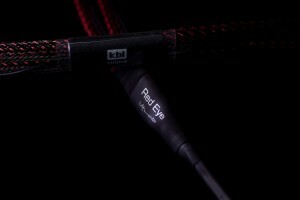 The performance of all KBL Sound cables I had dealt with so far was outstanding and the Red Eye Ultimate Phono turned out to be no exception. These are products refined in every respect, both in terms of performance, quality of used components, as well as the quality of workmanship and finishing. Like other versions, Phono is delivered in a simple but nice cardboard box. 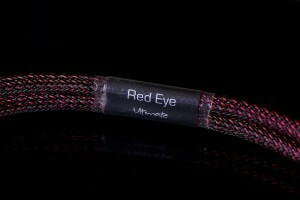 So far, no surprises – everything that I’d known after already mentioned test of other Red Eye Ultimate cables was confirmed. The only thing left to do was to check whether the performance of Red Eye Ultimate Phono was equally good as that of other models of this series. The perfect situation when reviewing audio components, including cables, is to compare them to a well-known reference of the same kind. In this case, it was not possible because, as I’ve mentioned before, I do not use this type of cable in my system and I don’t own any. During the test, I was able to get my hands on another Phono IC, half the price but a great performer, the Siltech Classic Phono so it became the only reference I could use in this test for comparison. Both cables were used to connect the aforementioned Acoustical Systems Aquilar tonearm with one of two phonostages – my transistor GrandiNote Celio IV (you will find the review in English HERE) and the fantastic tube Ypsilon VPS100 with the company’s step up I reviewed for the Audio Video magazine. I also used two MC cartridges – AirTight PC3 and Acoustical Systems Archon. Listening to the Red Eye Ultimate Phono (at the beginning with GrandiNote and AirTight) immediately brought back memories from the test of the entire set of cables from this series. Many people associate silver in cables with a “thin, light” sound (in my opinion that is true only for “cheap” silver) and the Polish interconnect beautifully contradicted this stereotype. The sound with it was rich, full, even dense. I’m talking, of course, about density and saturation of the sound that characterizes most of the top shelf components, appearing side by side with high resolution and a huge amount of information. I perceived the sound, especially the first, as quite dark and smooth, but it changed as soon as such instruments as cymbals, triangle, or bell came in and it turned out that the upper midrange and treble are fantastically vibrant, open and full of air. Due to these features all these tiny percussion instrument on Patricia Barber’s “Companion” sounded so well, but also Tomasz Stańko’s trumpet on the old (Polish!) Release of C.O.C.X or Miles Davis’ on the iconic “Kind of blue”. In comparison, the Siltech did not offer such saturation or sound density – it sounded a bit “lighter”, although bit more vivid, faster. The high tones were a bit more shiny (but with no signs of sharpness), but they did not have the mass, that cymbals or triangle had with the Red Eye Ultimate Phono. 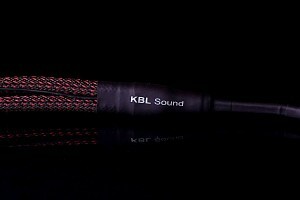 Interestingly, however, with the KBL Sound cable the reverbs were longer, fuller. Another (expected) feature was the spaciousness of the presentation. The first, key phrase that comes to mind when describing it is: the lack of artificiality. 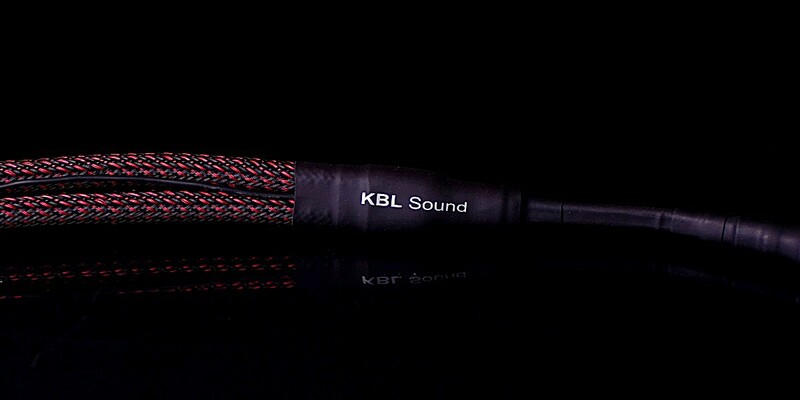 The KBL Sound cable did not reproduce huge soundstage and large, tangible phantom images on all recordings. These elements were reserved (to such an extent) only for the best recordings in this respect. Then, especially with the fantastic Ypsilon phono tube (with Celio too, but to a slightly lesser degree), the depth of the stage, gradation of layers, precision of placement on the stage, palpability of instruments and vocalists entered the level unattainable for many other cables (I’m referring to regular interconnects here). My obligatory test of this aspect of the performance, Bizet’s “Carmen” with Leontyne Price, sounded truly spectacular with the Red Eye Ultimate Phono (with Air Tight and Ypsilon). The way of presenting the three singers circling (during the singing) in the foreground, was not only tangible, almost realistic, but also extremely expressive. It created for me the same level of emotional engagement as I remembered from the first time, when I’d discovered this amazing recording/performance. When the marching and singing choirs appeared behind soloists far back, I started to consider once if it was even possible at all that the scene was actually so deep, or whether the depth effect was “strengthened” a bit in the studio. Anyway, the ability to show not only the distance (depth), but also dynamically changing distances and the relations between all elements of this scene, placed the tested cable among the best (cables in general) I knew. I must admit at the same time, that Siltech was only half a step behind, which made it also a part of the same highest league of interconnects. When it came to “shallower” recordings, the Red Eye Ultimate Phono did not try to add the depth of the stage that was not there in the recording. It focused on the foreground, on the three-dimensionality and palpability of phantom images of natural size. The Polish cable never pushed the stage forward, and even in the case of recordings, where the sound engineer placed the singer in front of the line between speakers, KBL Sound tried to “undo” it a bit so that the scene would start on this line and the stage would be built from there. Every phantom image, every vocal, was more meaningful, more present than with Siltech. The latter displayed a picture drawn with a somewhat sharper lines, better marking the contours, shapes of instruments, but those were not as full, didn’t have quite the weight as with the reviewed cable. The Red Eye Ultimate Phono, with its particularly good selectivity and separation, also better filled the space between the instruments, this way building a more organic, more real soundstage – this is another element that influences the unique (especially with the fantastic Ypsilon phono) realism of the presentation. 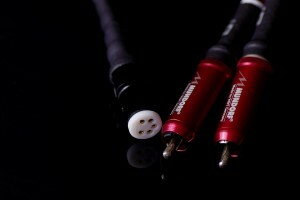 Some features of this cable worked well in every tested configuration. 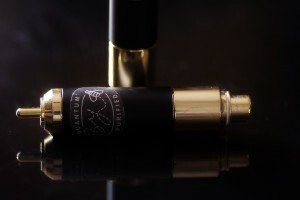 Other, like this unique saturation and fullness of the sound when combined with the tube Ypsilon, which itself has a similar sonic character, in some recordings accumulated and “overdid” the job (especially when I used not as transparent and pure sounding – as AirTight – Archon cartridge). In such cases, replacing KBL Sound with Siltech did a good job by adding some freshness and vividness to the sound. This was especially true with older records (recordings and editions) with jazz and vocals, and even classical music. In the case of contemporary recordings, which are usually brighter and “thinner” than those of the golden vinyl era, the Red Eye Ultimate Phono was the first choice most of the times, as it was able to slightly compensate weaknesses of these discs making the sound fuller and more natural. 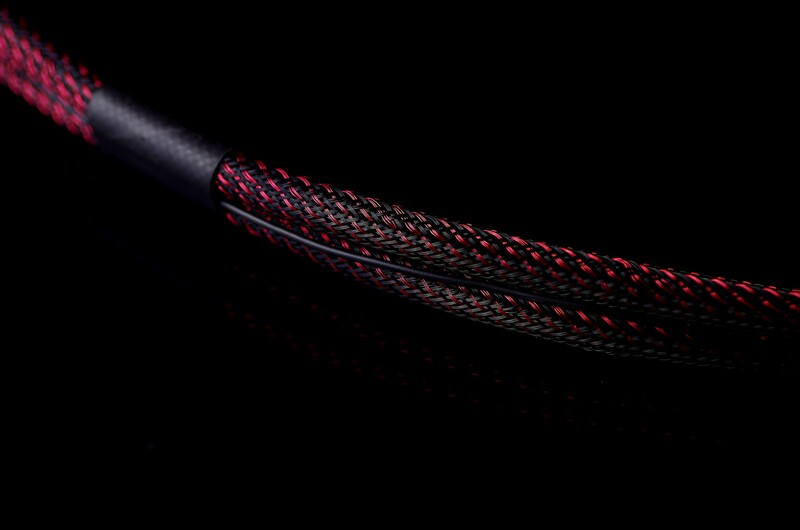 The latter feature was also affected by another intrinsic quality of this cable – a unique serenity of its presentation. The thing is not in any limitation of dynamics, energy or flow of music – these features were clear advantages of the Polish cable on each record I played – but in full control over every aspect of the sound, in orderly way of presenting it, and not even a hint of nervousness. The great timing of focused, taut bass that characterize the Polish cable, complemented by good extension, richness and high energy of this part of the band, required at least good quality, and preferably even high quality recordings. It was with the Red Eye Ultimate Phono that Ray Brown’s double bass sounded at the same time mighty and vivid, going down really deep, but with excellent control and definition. It delighted me with naturalness and richness of its sound, nice, long decay and maintaining the proper balance between the strings and the wood. With Siltech it also sounded really good, but the instrument had a slightly smaller mass, wasn’t that (realistically) large, it did not make my bones tremble when the lowest notes were struck. Listening to similar recordings with piano delivered basically the same experience. With the Red Eye Ultimate Phono I truly felt the power of this instrument, particularly clearly when it came to the left hand of Tsuyoshi Yamamoto. This Japanese pianist has quite a characteristic style of playing with a very strong left hand. It causes a lot of problems for many systems and sounds like the musician literally hits the keys with all his strength. However, if the system provides adequate control and definition of the lower part of the band, it sounds impressive and wonderful, but true, not exaggerated. The Red Eye Ultimate Phono was able to keep the presentation in check making sure that Yamamoto’s style was nicely conveyed but not exaggerated, with very well-defined, powerful tones. It was a bit different with lower quality recordings with an “overblown” bass. In such cases the somewhat thinner sounding Siltech worked a little better, although, of course, it did not turn such recordings into high quality ones. They just sounded more acceptable. The Red Eye Ultimate Phono had, from my perspective at least, one more advantage over Siltech. In both cases performances were expressive and engaging, but it was the Polish cable that conveyed the emotions in even more natural, direct, more convincing way. Using it, when I listened to Louis Armstrong singing “What a wonderful world” I had no doubt that it was the most beautiful song in the history of popular music. The Red Eye Ultimate Phono delivered the dramatic story of Carmen in the Bizet’s opera in a spectacular, moving way. It was with it in my system that on “Sketches of Spain” Miles took me on a fascinating trip to Spain, and Mussorgsky to the terrifying Witches Sabbath on the Bald Mountain. In the latter, one of the best recordings I have in my collection (on the album “The power of the orchestra”), the Red Eye Ultimate Phono once again proved how effortlessly, with how much momentum but also full control, it was able to deliver even such a complex music. 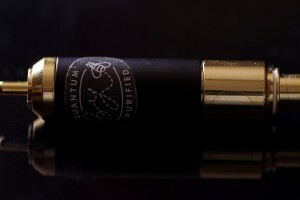 I promised a few words about Bybee Technologies quantum signal purifiers. These are the works of Jack Bybee, according to information on his website, originally developed for the military applications. The theory is “simple” (if anything about quantum mechanics can be simple). The musical information is transmitted by electrons flowing through conductors. As electrons interact with the conductive materials of cables and circuits, very low-level (quantum) noises are generated. As quantum noise energy accumulates in the propagating signal, low-level details pertaining to ambiance, soundstage, timbre, dynamics, color fidelity and picture resolution are obscured, robbing the presentation of vividness and life. 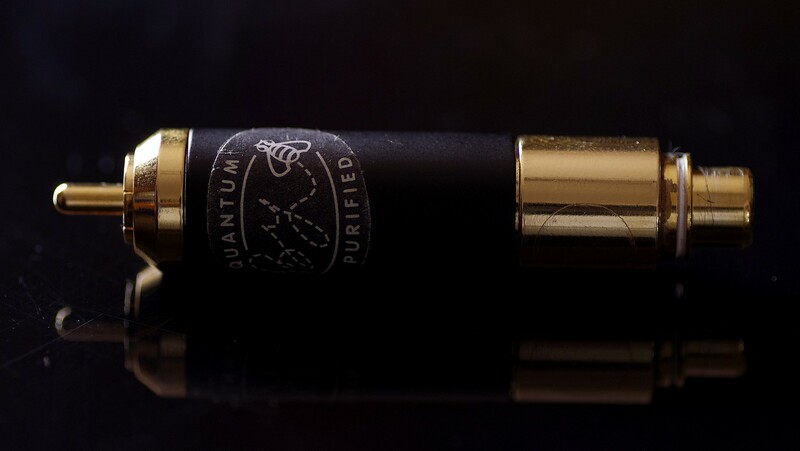 Bybee quantum signal purifiers job is to remove these distortions, and thus the sound quality should be better than without them. They come in various types, both for installation inside devices and in the form of “plug-in” products, which are the simplest to use. The Gold RCA that I received looks like an adapter with RCA plug on one end and RCA socket on the other. One plugs them (they come in pairs) to RCA sockets of the device and connects interconnects to them. That’s how I used it in the test, placing it in the phonostage input sockets following the suggestion from the distributor, who claimed that Bybee should have the greatest positive impact when the very low, and therefore the most sensitive to interference, signal coming from the MC type cartridge is transmitted. There are also similar solutions for loudspeakers and power cables – maybe someday I’ll check out those too. I did not have time to try all possible configurations, so I assumed that if I was to hear any effect of using signal purifiers, the easiest way would be to use the best setup available to me at that time (i.e. with the AirTight cartridge and Ypsilon phono). The changes introduced by Bybee were not spectacular, at least not when I used them for the first time not knowing what to expect, what to look for. It was easier to notice what these actually do for the sound when after a longer listening session with them I stopped using them. Then it turned out that the sound got less spatial, that I couldn’t hear many of these small elements, so-called plankton, anymore, which built amazing realism of the presentation and thus increased the level of my involvement in the musical event taking place in front of me. The whole performance seemed less … musical, less fluid, less organic, decays seemed a little shorter, and the sound was simply “poorer”. To be clear – these were not differences comparable to those introduced by replacing an amplifier, loudspeakers or source in the system with another. They were definitely more subtle, harder to define, to point out. It was definitely easier to notice lack of those small improvements than improvements themselves (at least at the beginning). The latter is not surprising – when the sound gets more natural, we tend to accept it as something obvious. When the sound quality gets even slightly worse it is more difficult to approve that. A similar, though even more pronounced, greater effect was introduced to my system by the Polish processor Yayuma ASP01 (see HERE http://hifiknights.com/recenzje/yayuma-asp01-awareness-line/). It was also able to let me hear “more music in music” as I perceived the presentation as more natural with it. As Mr Robert from KBL Sound told me, he uses many Bybee products in his system, and the accumulated effect is even bigger. In my opinion, owners of high-end systems should give Bybees at least a try. The amounts of 1700 PLN for a pair of Gold RCA signal purifiers is quite a significant one. On the other hand, the owners of such top systems are always struggling to find a way to improve the performance of their setups. They are willing to pay crazy amounts of money for slightest improvements so 1700 PLN should not be a problem. Plus, if these work, Bybee Technologies offer a number of other products to try out so Gold RCA might be just a beginning of a new adventure into the world of the best, most satisfying performance one can get with the audio system. The Red Eye Ultimate Phono, as expected, offers a similar sonic character as the RCA interconnect from this series. It delivers a refined, well-arranged, resolving sound based on the solid, rich, well-differentiated bass with excellent timing, and thus pace&rhythm. 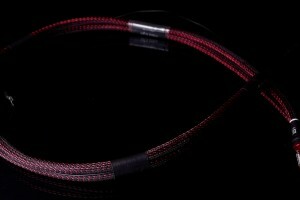 This richness applies to the whole band, because the midrange is also extremely full, colorful and fluid, and the top end, on one hand is amazingly vibrant, open and full of air, on the other has a rare (natural) weight (richness). It is also an extremely spatial cable but it never adds anything on its own. The soundstage can be very wide and have a unique depth, but only if it was caught this way in the recording. Yet, even if the recording is not particularly spacial, the Red Eye Ultimate Phono is able to build a tangible, convincing, even if not a big stage, with precisely located, three-dimensional virtual sources of natural size. 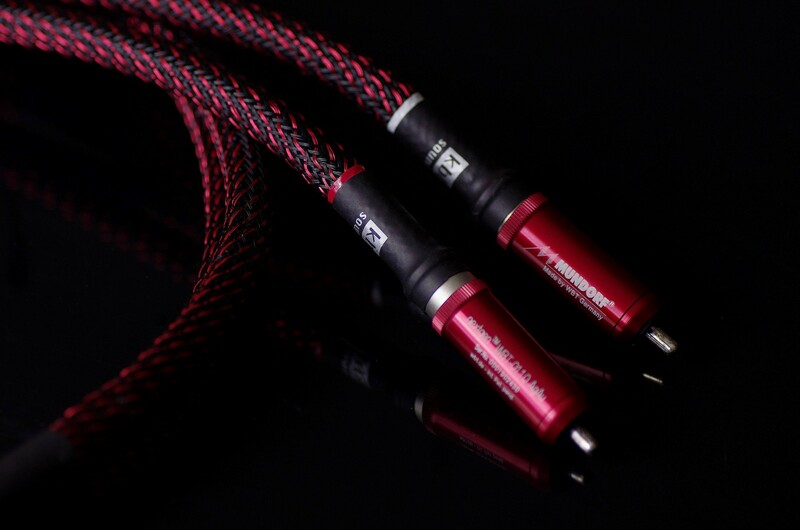 It’s one of those cables that allow user to forget that there is a cable in the system – every aspect of the sound is just accurate, right, exactly as it should be. 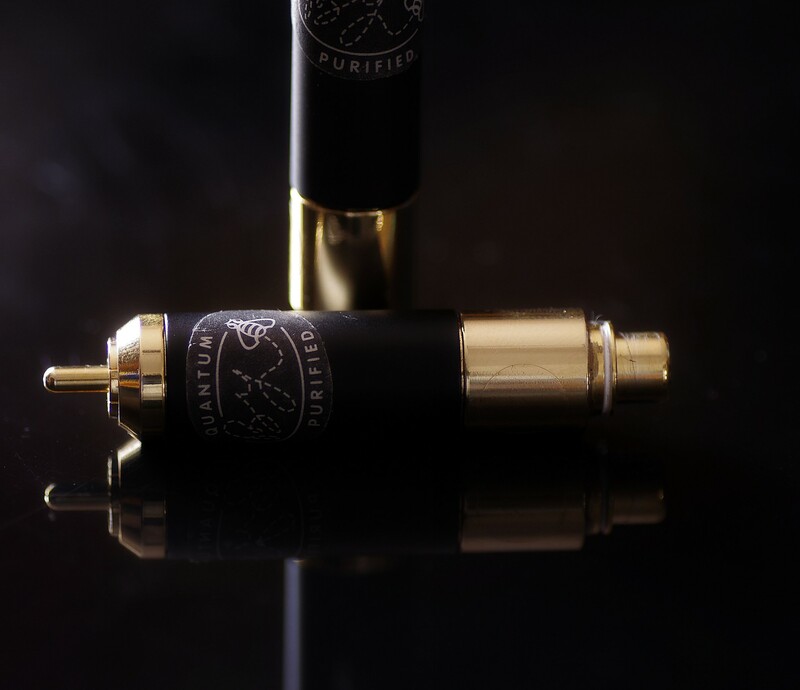 One more thing, an advice if you will – if you become an owner of this phono cable make sure that at least at one end of this interconnect you have a highly resolving, clean and transparent sounding device. In my case AirTight PC3 cartridge was one and the Grandinote Celio mk IV phonostage was another. The Archon pickup and Ypsilon phono, both amazing performers, belong to a bit warmer type, so the combination of these two with the Red Eye Ultimate Phono, though still very good and in many respects magical, did not give the Polish cable a chance to present its full potential. However, when I combined AirTight with Ypsilon, or Archon with GrandiNote the results were remarkable. Please treat this only as a suggestion, but if you decide to purchase the KBL Sound Red Eye Ultimate Phono cable you just have to offer it (and yourself) a chance to use its full, huge potential.